Family Included was initiated by five people and is administered by The Family Initiative. 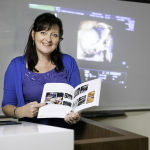 Mary Steen is Professor of Midwifery at the University of South Australia in Adelaide. Mary has practiced and researched family inclusive care for many years. She wrote Reaching Out: involving fathers in maternity care for the Royal College of Midwives in UK in 2012. 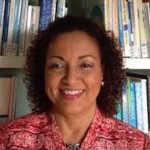 Debrah Lewis is Founder and Executive Director at Mamatoto Resource & Birth Centre in Trinidad. In 2011 she was elected Vice President of the International Confederation of Midwives. 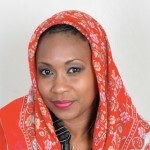 In 2013 she gave a TEDx talk on involving fathers in maternal healthcare. Dr Yashua Alkali Hamza is the Founder and Chief Executive Officer of the Childcare and Wellness Clinics in Abuja, Nigeria. She is currently doing a PhD at Walden University in USA on family inclusive care. In 2015 she received a Women of Influence award for outstanding community service. 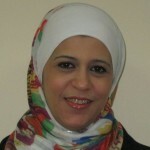 Dr Hala Bawadi teaches midwifery at the University of Jordan School of Nursing in Amman. She has published research on the experiences of Arabic fathers of maternal healthcare in Jordan. 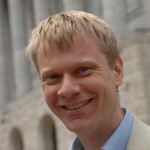 Duncan Fisher OBE is a founder of The Family Initiative. He co-founded the Fatherhood Institute in 1999 and was the CEO for 10 years. His work focused on engaging with fathers in maternal health and early years care. He received an OBE from the Queen in 2008 “for services to children”. 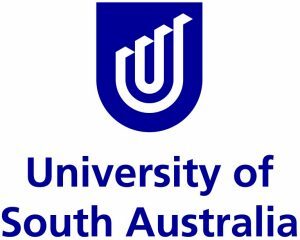 This work has been seed funded from two sources: the University of South Australia and the family of Duncan Fisher. The work has also benefitted from substantial contributions of voluntary time. What is family inclusive care and why does it improve health outcomes? Family inclusive care is when midwives and other healthcare workers actively engage fathers and other family members in a “partnership of care” for a woman during her pregnancy, during labour and childbirth and in the care of the newborn. Rather than replace family care, health professionals support it to be as strong and effective as it can be. The research profiled on this website demonstrates again and again that family inclusive healthcare improves a wide range of outcomes – access to health facilities, maternal mental health, breastfeeding, violence reduction, infant nutrition and family planning. This is because the family is the most influential agent over all of these decisions and, if the family is well informed, decisions are better. In 2013 the World Health Organisation declared that engaging with fathers should be a global priority for maternal healthcare. (We extend this to others in the family, to reflect the diversity of families in the world.) But there are no plans and no resources for implementing this and the vast majority of maternal and newborn healthcare is not family inclusive and does not aspire to be. This project exists to challenge this lack of action and to develop the tools to enable change. What are the barriers? We believe there are two main ones. The first problem is the professionalisation of maternal and newborn health. Often healthcare is seen as purely a matter between the health professional and the “patient”, in this case, the pregnant woman. The second problem is a worry about gender equity. Almost all families include men and they are often influential. Involving them in caring might result in limiting the autonomy of women and might fail to challenge gender based oppression in families. It is vital that family inclusive care recognises these factors and works to protect women from negative family influences. The project partners are currently developing a number of projects to develop practical tools for helping health professionals and their managers to implement family inclusive healthcare. We also are developing a project aimed at mainstreaming family inclusive care in a country, via regional and national policies and indicators.